Debbie Winterbourne has been practising Tarot for over twenty years. She is an experienced Tarot teacher and has run courses from beginners to advanced for many years. She opened The Academy of Tarot in 2008. In her life she has practised as a human rights lawyer, qualified as a Gestalt psychotherapist and obtained a masters degree in Mysticism and Religious Experience. Debbie believes that the practise of Tarot incorporates a combination of intellectual, emotional and spiritual (mind, body, spirit) understanding and she brings all of these different disciplines to the study and teaching of Tarot. The Academy of Tarot was established in order to advance the study of Tarot as a genuine and meaningful pursuit. 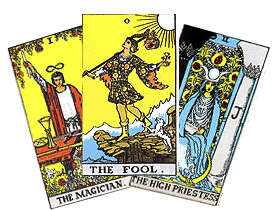 We aim to give Tarot the credibility, sincerity and importance that it deserves. The Academy offers one to one teaching of Tarot in person or via Skype. Courses offered are beginners and intermediate – following which students can attend for supervision of spreads and analysis of Tarot readings. At The Academy of Tarot we believe that three approaches are best combined in order to understand Tarot. 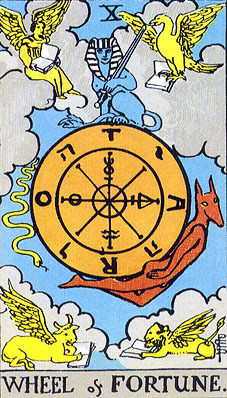 First, mind: it is vital to have a proper foundation of understanding the basic symbols and meanings of the cards. The Academy teaches with the Rider-Waite deck as we believe that once students have mastered this deck, they will then be proficient in reading most other decks and can go on to choose a deck that really resonates with them. Secondly, emotional (or body wisdom): It is very easy as a reader to get caught up in all your own issues and processes which affect the clarity and meaning of the reading for your client. Becoming a better Tarot reader means that you are also on your own path of personal development, understanding your own shadow side and learning to bracket your own issues so you can be the best reader possible. 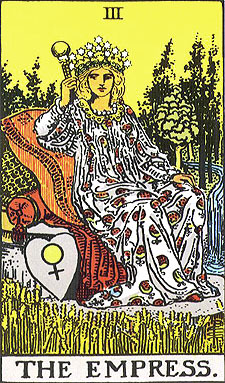 Third, spiritual: once the basic definitions have been assimilated, the gift of the Tarot reader is to understand the cards, not from the logical left side of the brain, but to begin to open the door to reading the cards using a deeper understanding of the messages that the images are attempting to convey. The Tarot reader is an intermediary and translator of the cards, and just as dreams speak in images rather than words, so the Tarot is speaking its own language with which you need to become familiar. If you have just discovered Tarot and want to learn more, then The Academy of Tarot is exactly the right place for you to start a beginners course to better understand the beautiful images of the cards. During the course students are taught to identify the various symbols contained in the cards and the hidden messages that they contain. Once you have understood the basic definitions of the Tarot, our intermediate course will introduce you to many ways of understanding Tarot. We begin to look at the major themes such as occult readings and depth psychology. The more you delve into Tarot the more you will discover that Tarot is a lifelong spiritual path and is connected to many other esoteric disciplines such as astrology, numerology and Kabbalah. You will be learning Tarot from a credible teacher which will be an excellent starting point for your journey.